A horse can only be shod once every six to eight weeks, but a Blacksmith Buddy hoof can be tooled as often as you like. 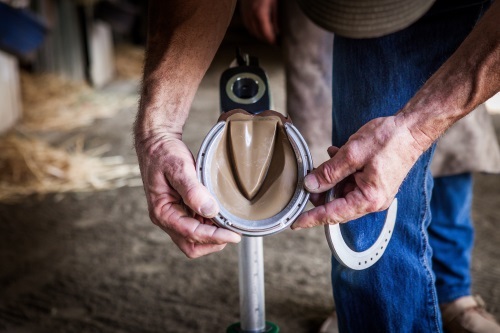 Replacement hooves are available to provide new shoeing options for every apprentice. The lifelike plastic lets you practice as often as you like. color variations in the synthetic. work — or simply throw it in with your other plastic recyclables. * Institutional rates available for bulk orders.